On several occasions Jesus had referenced the coming of the Holy Spirit. John the Baptist had seen the dove come down from heaven and rest on Jesus. He identified this as the Holy Spirit. The disciples had seen Jesus work the mighty miracles because the Holy Spirit was upon Him. Jesus had told them that He, the Counselor, the Holy Spirit, would be sent by the Father after He had gone. 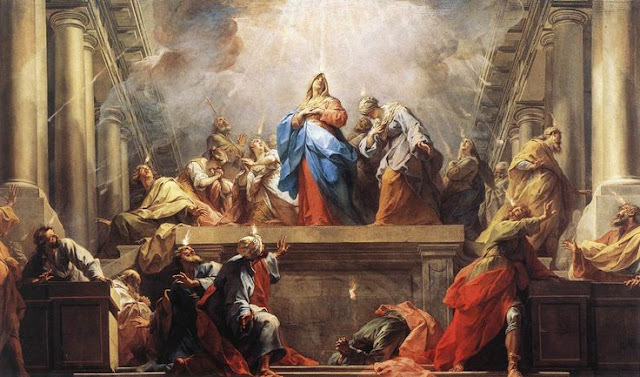 He had breathed the Holy Spirit upon them. But now, the Holy Spirit would not be observed only, not be seen in Jesus only, not felt passing over them, or promised to them. Now the Holy Spirit would come into them, into their message, and into the recipients of their message. The time had come for the Holy Spirit to unveil heaven’s plans for reaching not only the Hebrews, but the whole world. Here was the moment Isaiah had spoken about so many hundreds of years before: “And I, because of what they have planned and done, am about to come and gather the people of all nations and languages, and they will come and see my glory" (Isa.66:18). It is a magnificent plan unfolding before the eyes of the world through this small, frightened group of disciples. The world was going to change because the Counselor had come.